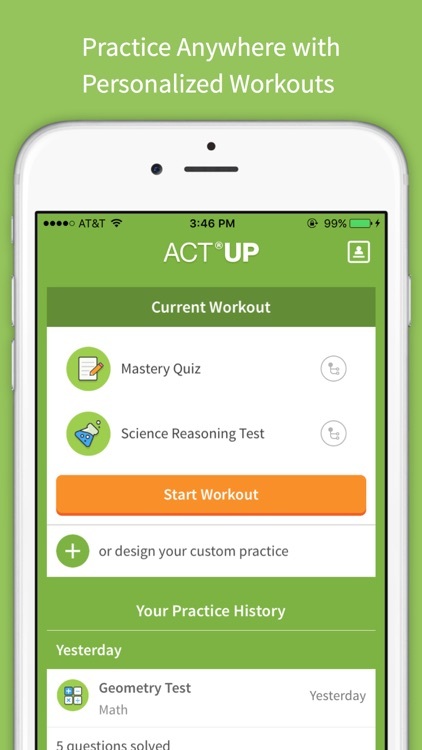 Set your ACT test prep books aside and download ACT Up, the world’s most advanced mobile ACT test prep solution featuring delightful interaction, regimented practice, and adaptive feedback. Sound too good to be true? 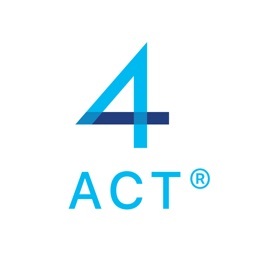 Install ACT Up and see for yourself. 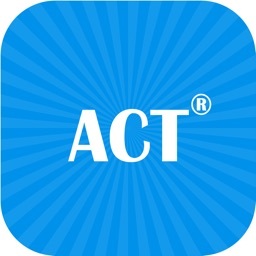 ACT Up offers a vast library of practice questions written by expert tutors for all four sections of the ACT: English, Math, Reading, and Scientific Reasoning. 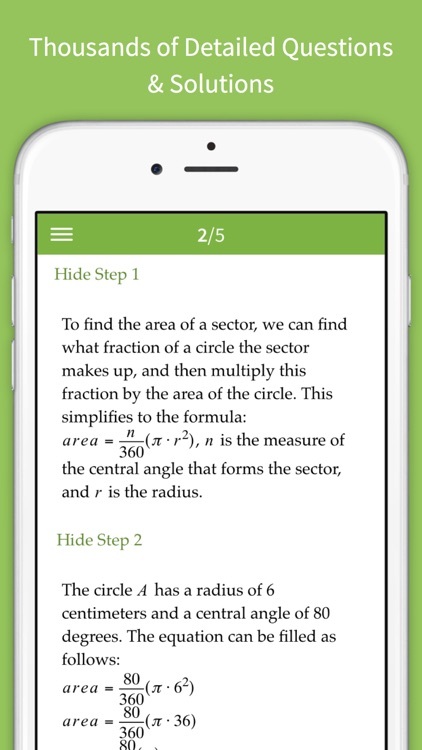 Detailed solutions are also provided alongside each question for members who wish to review missed questions in more depth. 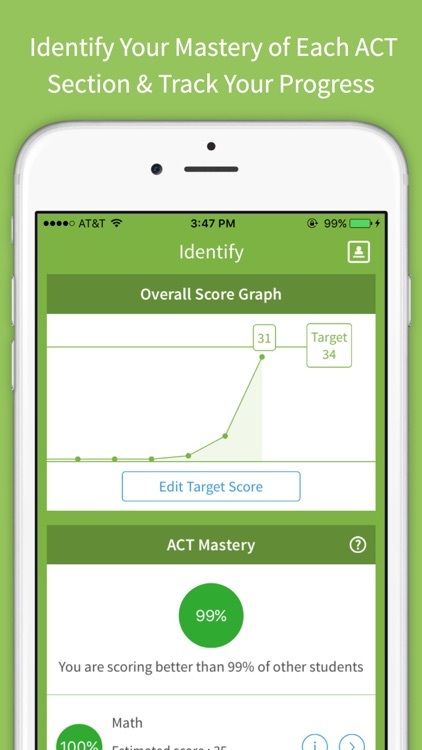 ACT Up is your personal ACT trainer that continuously learns about your strengths and weaknesses as you practice. No more deciding what exercises to do when; ACT Up will do that for you. Daily “workouts” will be sent directly to you, ensuring that sufficient practice is built into a daily habit. 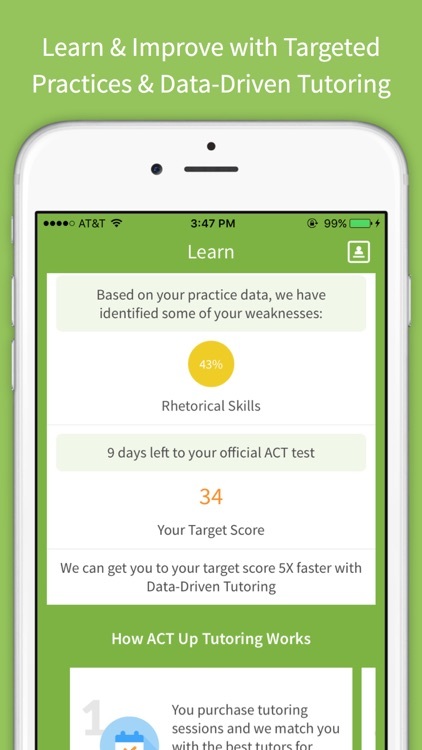 Our findings have shown that practice truly makes perfect. 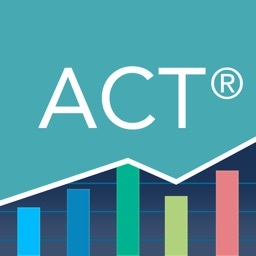 ACT Up not only tracks your progress to provide personalized practice, but it also displays your progress to date in gorgeous graphs and charts to help you visualize where you stand in your path to ACT success. Know where you stack up in a single glance. 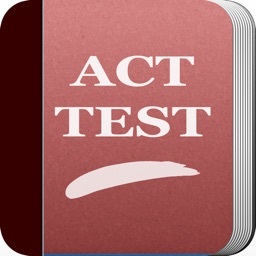 Vocabulary is not a key focus of the ACT, but boosting your vocab will help you power through certain questions and passages with ease. 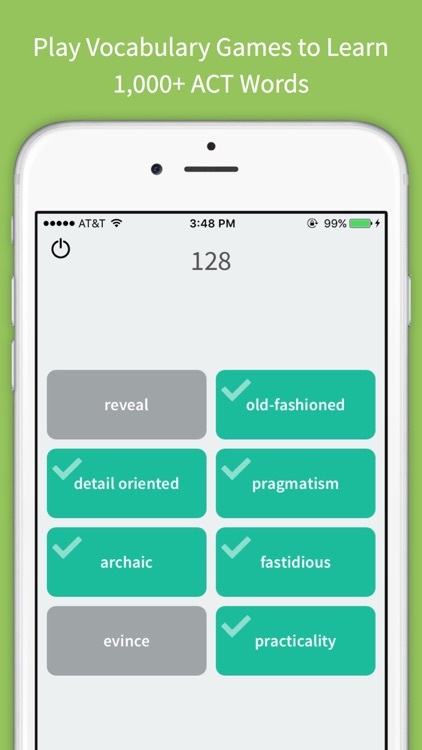 ACT Up’s vocabulary games help accelerate vocabulary retention through a combination of fun, competitiveness, and a library of over 1,000 ACT vocabulary words. So what are you waiting for? 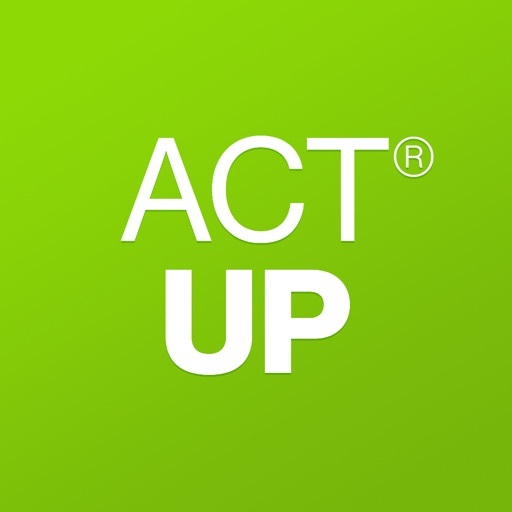 Download ACT Up and let’s ace this together. • Your iTunes account will be charged at confirmation of your purchase. 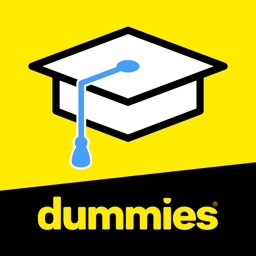 • Your subscription does NOT auto-renew automatically. If you wish to renew, you can simply subscribe again.